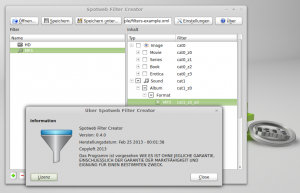 Spotweb Filter Creator 0.4.0 has been released. Two new languages have been added to this release, German and French. Below is a screenshot of the German version, running in Linux Mint 14 (nadia). Also the mechanism to load the translations is now much more dynamic than it was before. This is a little bit techy stuff, but Spotweb Filter Creator doesn’t need a recompile anymore when just adding new languages. The available languages are now defined in the spotwebfc.lng file instead of hardcoded into the source code. For those that are interested, I’ve uploaded the translations to Transifex: Click here. 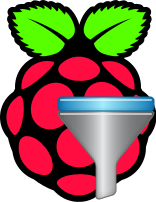 Downloads for Windows, Linux and Raspberry Pi are available at the Spotweb Filter Creator project page. 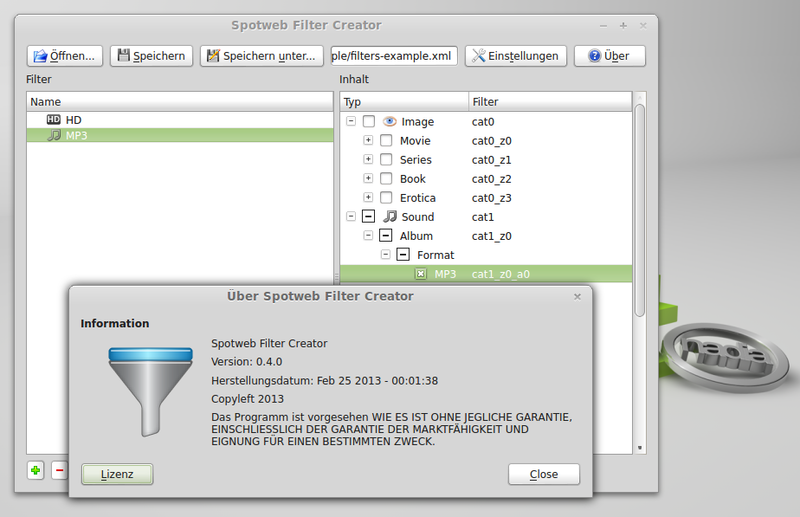 Today, Spotweb Filter Creator 0.3.0 has been released. This is a bug-fix release. With the previous version, it was possible in some scenarios to get filter items with non-unique ID’s. This would confuse Spotweb when uploading the filters, and some sub-filters could be appended to the wrong top filter, when working with nested filter items. I also added a spotwebfc.sh wrapper script for the Linux version to make it possible to start Spotweb Filter Creator even if the Qt libraries are not installed on the system. 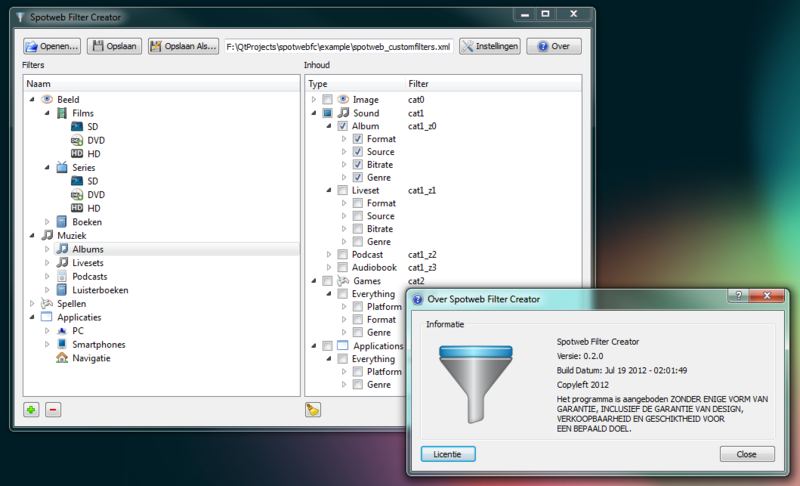 By starting Spotweb Filter Creator with spotwebfc.sh, the bundled Qt libraries in the “lib” folder will be loaded. 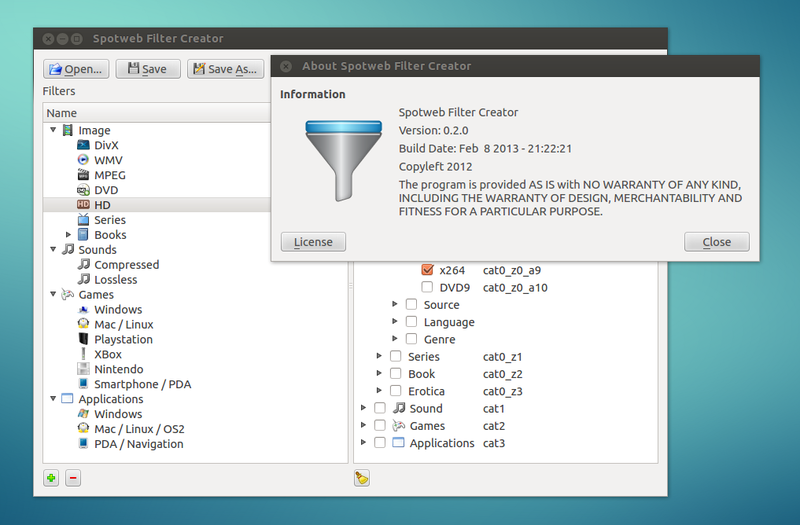 Downloads are available at the Spotweb Filter Creator project page. Een tijdje geleden heb ik in mijn vrije tijd een tool proberen te maken om het aanmaken van Spotweb Filter XML bestanden te vereenvoudigen. Ik heb de wiki-pagina hoe filters werken van spotweb hiervoor als uitgangspunt gebruikt. 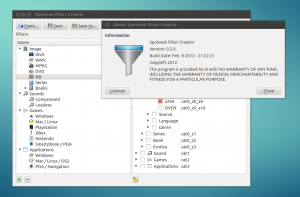 Spotweb Filter Creator is gemaakt met behulp van de Qt SDK, hierdoor is het mogelijk multi-platform (Windows/Linux) versies van Spotweb Filter Creator te maken. 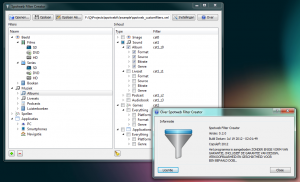 Meer informatie en download links zijn aanwezig op de Spotweb Filter Creator project pagina.